Team building activities are vital to the success of a company. Office culture is now an integral part of the appeal of a workplace for employees. It’s important for work colleagues to build trust, socialize, work on their weaknesses and develop strengths in a fun and entertaining way. A Quiz Coconut team building trivia event ticks all these boxes! Forbes writes about how to re-energize your team, which is useful for when you are in the office – but turning to corporate event providers for extra-curricular ideas is a great move to boost team morale. But it can be a mine field out there with a variety of team building ideas to choose from. Within a few hours from Toronto, Blue Mountain Resort is a great choice, because it is perfectly set up for corporate events, they have multiple rooms of varying sizes and great facilities. Shops and restaurants, such as Sunset Grill and Copper Blues, circle the small lake. 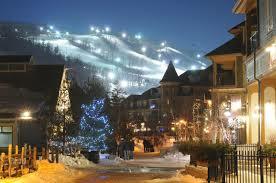 Most notably, skiing on Blue Mountain is the real draw! We’ve hosted a few events at Blue Mountain between 50 and 200 participants. One event for pharmaceutical company Roche was an after-dinner entertainment for the HR department at their offsite. By getting everyone on to equal-sized teams, and pitching them against each other, some office rivalry was stirred up and lots of laughs were had! Some of the testimonials made their way to our testimonials page here. A conference and communications facility in King City, 30 minutes north of Toronto, The Kingbridge Centre is a great option to escape the city but not to have a huge travel element. Great facilities and pleasant grounds make this a solid choice for 2019. We hosted a couple of nights for Hydro One here. After a long day of seminars, the staff are weary! They booked Quiz Coconut and were entertained for a short burst to encourage interaction and bonding with their team members. 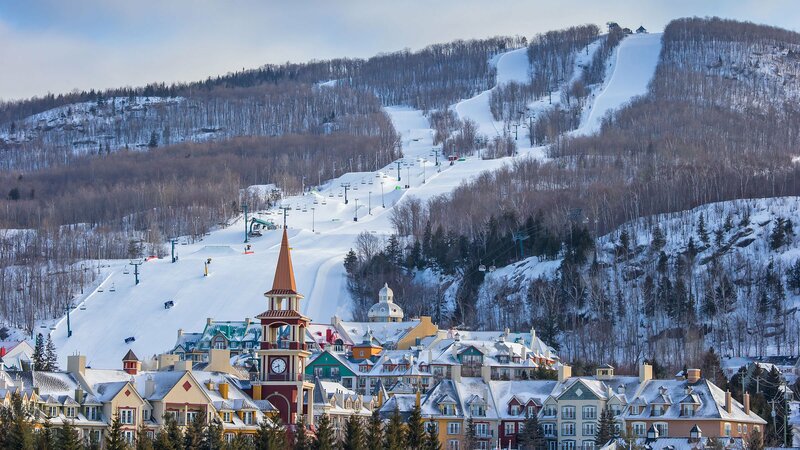 The bigger sister of Blue Mountain, Mont Trembalnt – is about 5-6 hours away from Toronto, depending on the time of day / year. We held an event there for autoTrader and loved every minute. 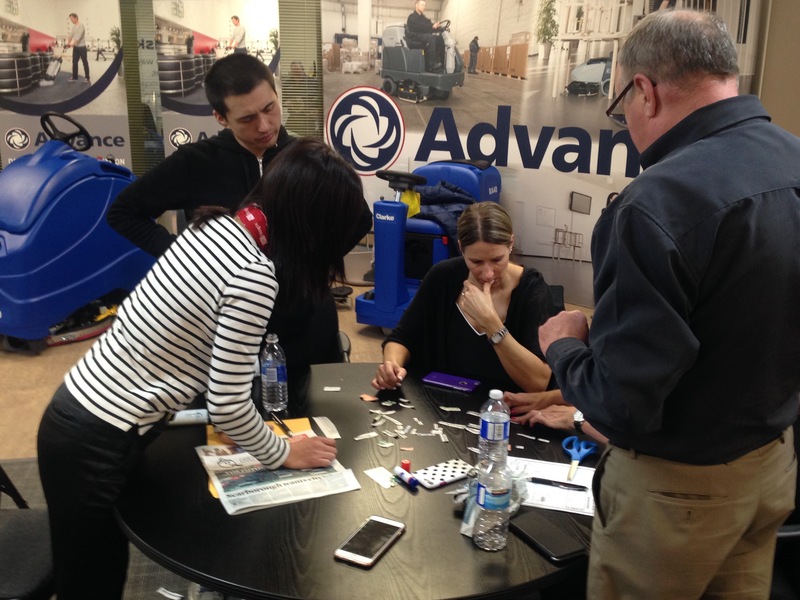 For a sales kick-off weekend, personnel from Eastern Canada congregated for meetings about the year ahead. At the end of a long day, the staff donned 1980s themed outfits for dinner and a themed trivia interlude! We also ran the DJ booth until the early hours. Slip in to Quebec! Different language, different beers…same great entertainment with Quiz Coconut! How about a pub? bring out the essence of ‘pub quiz’ style trivia in a friendly establishment for a low-key, casual affair. We work closely with The Stone Lion pub in Toronto, hosting a regular night there. 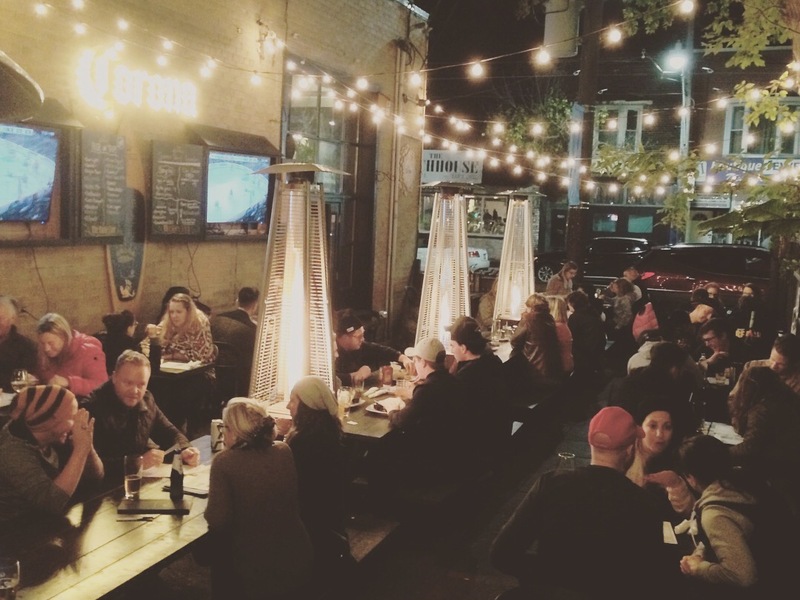 The upstairs can be reserved, or if the weather is decent, how about an outdoor quiz on one of the two patios? Here tasty platters meet a wide selection of beers, coupled with cheery service. Team building ideas are designed to be captivating, flexible and fun while keeping employees motivated, engaged and entertained. Quiz Coconut is able to help anyone interested in booking a great event. With a talented team that an be trusted to execute and design the best corporate team building activities all over Toronto and the GTA. All in a cost-effective way! A company should make sure your corporate team building activity is planned the right away from the outset, making sure it will be beneficial to the boss and new starters alike. We are proud of our Testimonials from global companies, many of whom are repeat bookers. Whatever the size of the group, a good corporate event provider will be there to help reward staff with fun, accessible activities perfect for any location, size and team diversity. Only the most memorable, effective and fun solutions are incorporated in to your package. Catering for sizes between 20-400 means that whatever your group size, they can take part in fun and engaging team building solutions. Quiz Coconut has a custom-made service that you can enjoy in Toronto and the GTA for your company event or fundraiser. Tailored content can add that special bespoke feeling to your night. With our experience we can blend it with our general content to make an event that is varied and covers all aspects of knowledge. We’ve customized our quizzes around Cats, Renewable Energy and Corporate Law. Anything is possible! We’ve also hosted a team building event for a blind association, where we substituted pictures for extra audio rounds and created an enjoyable experience for all. Just ask – if there are any special requirements, Quiz Coconut is a team building solution for you. We’re happy to discuss and accommodate wherever possible. Sometimes available at short notice depending on the time of year, so get in touch with us and enjoy the benefits of having a bespoke entertainment solution. If you are looking to book your next office off-site in downtown Toronto, the GTA or in fact anywhere in Ontario, we can help! Team Building Trivia Activities – These are easy going and fun team building quiz events that freshen up ideas with your company and will help generate laughter and smiles among participants. They are popular options that can meet the needs of each group and fit within your budget. Truly, choosing Quiz Coconut is an effective and fun way of improving teamwork and communication. For a flexible, hassle-free and trusted team building solution, get in touch today and we will do everything we can to exceed your expectations! Have any comments? Fire away! james@quizcoconut.ca or visit the contact page.